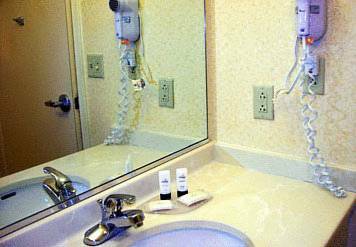 The Newly Renovated Fairfield Inn & Suites Akron South offers a host of amenities and a wealth of hospitality. If you are looking for unique local attractions; we are minutes away from the Pro-Football Hall of Fame, Blossom Music Center, Hartville Market, & the Harry London Chocolate Factory. The University of Akron is ten minutes away, as well as Akron's famous Derby Downs. DIRECTV Entertainment Base Package, premium movie channels, 80 satellite radio channels. We'll get you started each day with a deluxe continental breakfast that includes freshly brewed coffee, fruits, breads, cereals & Belgian Waffles with all the fixings. Relax in our heated indoor swimming pool. Exercise at your leisure in our 24-hour fitness room. Work in our Business Center with PC, Scanner, Fax /Copy services.